I was last Thursday and Friday in Krakow for the TMS Inspiration Days, which was a fruitful experience. 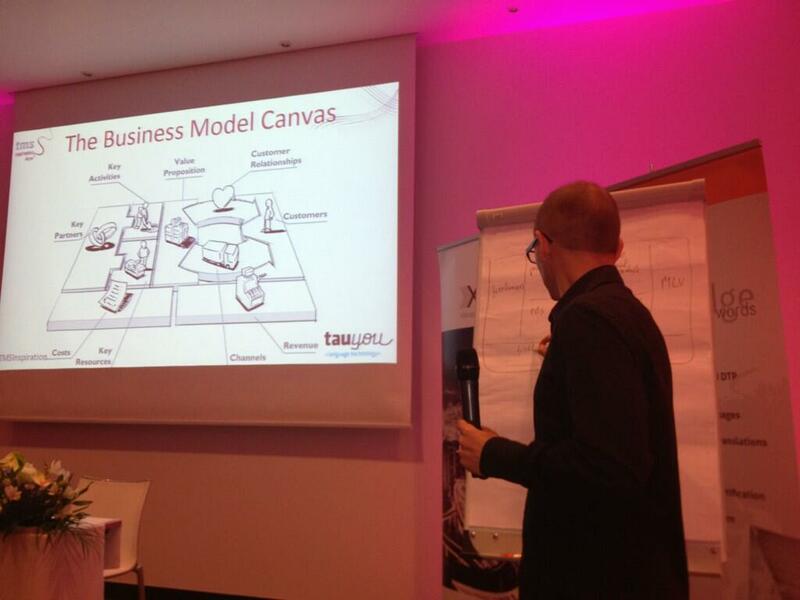 The first day was about sales, business models, coaching, and scaling the company, and I found it really interesting. The main outcome: define a sales process at your company so as not to be so dependant on people. The second day was more technical, but good to learn how important are ERPs such as XTRF for the translation industry. Although there might be some learning curve, then you can only cut down costs and increase margin by automation. I didn’t talk about machine translation (MT) this time, but rather about business models, how to analyze yours, define where you want to go, and then plan the actions to go from one point to the next one. It is the first time I give this talk in an industry conference, since in GALA Miami it was part of the KnowledgeFest. Of course, there are things where I can improve, but the general feeling was that the tool is useful for boosting your business. All together, we analyzed an example to transition from an SLV to an MLV, a challenging change. I also run before each conference day, this time alone, 10 km on Thursday morning and 10.5km on Friday. I enjoy this way to see the city, Krakow’s river (Vistula) is an impressive zone to go running. Good to get to know all of you! Update (May 2013): You can find the photos of the event here. For the first semester, I have already 3 conferences scheduled. Pretty nice! When are conferences really valuable? For me, there are three critical points. When you meet your colleagues, and increase trust by spending time together. Many deals are done when both parties care about each other and understand each other’s expectations. Therefore, you need to meet face to face. You build relationships that matter. For this, in my sector, the GALA conference is the event.This year I’m attending also as a Board member. If the content of the conference is valuable and can really change your business substantially. If you are going to hear the same things as last year, maybe it’s time to change the conference or watch it online. Alternatively, twitter is a great source of information coming from conferences. The contents really change on every edition, so it’s hard to say which event has usually the best content. When it’s part of a movement to change the world. If people in the conference discuss clearly about the future and not about the past. If you learn and improve. If you feel that are part of a high value group. The events organized by TAUS are from this group, I’ve always enjoyed them, shared experiences, and learn something at the same time. This year, I’m going to the Association of Language Companies (ALC) annual conference for the first time. I’ve heard good references about the event, so I’m already looking forward to it. And the TMS Inspiration days in April will be a different event, where I’ll be presenting the business model canvas and ways to innovate in the localization industry. This 2013 will be exciting!